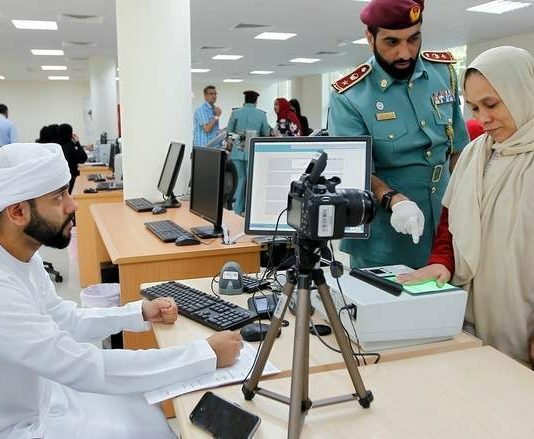 The car-free day initiative organised by Dubai Municipality on Wednesday was a "huge success" with more than 2,500 employees from the municipality and other government departments arriving to work on time using public transport. The Dubai Taxi Corporation (DTC) of the Roads and Transport Authority (RTA) has kicked off a promotional campaign entitled “DTC Fleet” as part of its strategic vision to upgrade the level of taxi services rendered to customers, enhance the operational efficiency, introduce and promote DTC services and raise the profile of the DTC among all segments of the community. Projects in the pipeline that will be offered out for private sector involvement include a number of marine stations and multi-storey car parks planned for the emirate, he said. 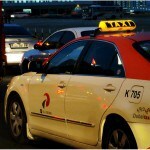 The RTA is also mulling the privatisation of its water taxi services, Younes said. As taxi drivers for one company in Abu Dhabi stage a mass protest, a labour camp in Dubai also downs tools. 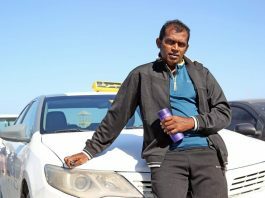 Taxi drivers in Abu Dhabi were in labour court on Tuesday trying to fight the new contract imposed by their employer. 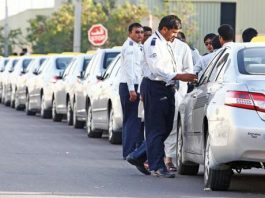 The Roads and Transport Authority (RTA) is seriously considering a proposal from six taxi franchise companies in Dubai to hike taxi fares in the near future. The Public Transport Agency (PTA) at RTA, the body that regulates taxi affairs in Dubai, is under considerable pressure from the franchise companies to raise fares following the double hike in fuel prices over the last six months. Budget Rent-a-Car, one of the world's leading car and van rental companies, is set to boost its presence in Dubai by opening three new branches before the end of the year. The company's newest branch was opened recently at '8 Boulevard Walk' tower in the Burj Downtown area. This outlet will especially cater to clients from the surrounding areas, including Dubai International Financial Centre (DIFC), Burj Downtown and Sheikh Zayed Road. Former Australia captain Craig Moore will pay a fine to settle charges stemming from a drunken dispute with a taxi driver and isn't expected to face jail time in Dubai, officials familiar with the ruling said Sunday. Moore was fined 1,000 dirhams ($272) to settle the misdemeanor charge of illegal consumption of alcohol, said the officials, who spoke on condition of anonymity because they were not authorized to discuss the case publicly. 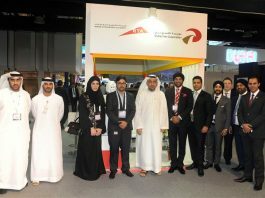 erving as an ambulance for hundreds of wheelchair-bound old as well as handicapped people, the RTA-managed Dubai Taxi Corporation (DTC) is the only company in the region to have such a service and the additional vehicles “will help people in a better way”, feels a senior official. The Roads and Transportation Authority, which operates Dubai Taxi Corporation, was quick to reassure that the petrol price increase would not be reflected in its rates, which has a minimum fare of Dh10.